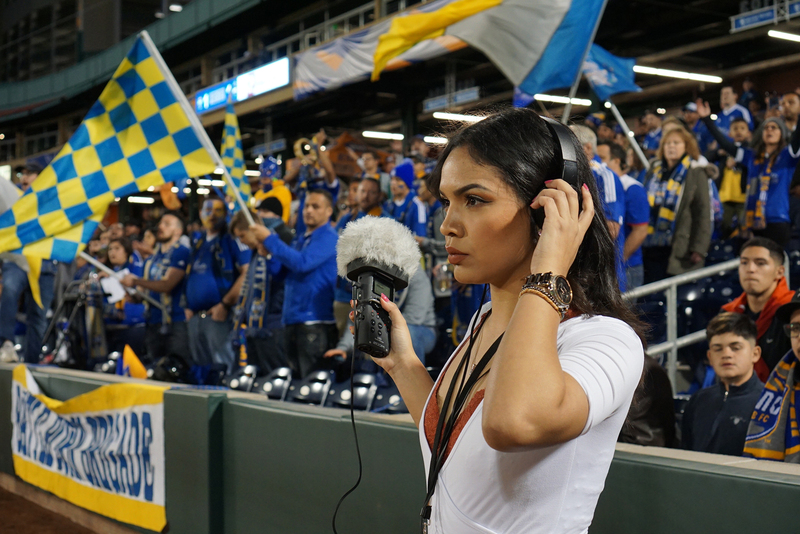 KUNR Reno Public Radio earned a national Murrow Award for best sports reporting in the small market radio category this month for Reynolds School of Journalism alumna Stephanie Serrano’s story about Reno 1868 FC. Serrano reported as a student at the Reynolds School on the growing fan base of Reno’s local soccer team. The Murrow Awards are selected by the Radio Television Digital News Association. They honor outstanding achievements in electronic journalism, awarding news stations, networks, syndication services, program services and digital news organizations. The award-winning story was produced through an innovative collaboration between KUNR and Noticiero Móvil, a bilingual media news source at the Reynolds School. The partnership is aimed at providing Spanish/English bilingual news in Northern Nevada and training the next generation of bilingual journalists. Serrano is a 2017 graduate of the Reynolds School. At the time she reported on Reno 1868 FC, she worked as a bilingual news intern for KUNR and with Noticiero Móvil. Listen to the story in English. Escuche una versión de la noticia en Español.